Herbert Smith Freehills, Ashurst, Allens and Clayton Utz have advised in the $16.189 billion Ausgrid sale, the largest ever privatisation by an Australian State and the largest privatisation since Telstra. The privatisation is the largest M&A transaction in 2016 in Australia to date. Herbert Smith Freehills and Ashurst advised the consortium of IFM Investors and AustralianSuper in its acquisition of the state-owned electricity company. Ashurst and Macquarie advised the consortium on due diligence and financing. UBS, Deutsche Bank and Allens advised the NSW State Government. Meanwhile, Clayton Utz advised the financiers to the consortium. The consortium with a dual partnership structure acquired 50.4% of the electric company for $10.258 billion, with gross proceeds going to the state of $16.189 billion due to a 100% re-financing of Ausgrid's debt plus stamp duty. NSW will retain 49.6% stake in the two partnerships which will enter into a long-term 99-year lease for the core network assets. The State will use the billions in proceeds from the deal for its $20 billion Rebuilding NSW plan. The Federal Treasurer rejected an earlier bid by China State Grid Corporation and Cheung Kong Infrastructure due to security concerns. The successful consortium lodged an unsolicited bid to the NSW Treasury in September. The Ashurst team was led by Murray Wheater who was assisted by senior associate Samantha Robson, lawyer Tom Jalland and graduates Adelle Elhosni, Alexandra Rennie and Beth Waterfall (Corporate); Partner Con Tzerefos, senior associate Sarah Galloway and lawyer Aaron Yorke (Superannuation); Partner David Mason, senior associate Douglas Fung, counsel Mok Stanley, lawyers Jason Wong and Kavisha Bilimoria and graduate Lu Wilson (Finance); Partner Peter Limbers, counsel Justin Jones, senior associates Andrew Kelley, Andre Dauwalder and Cassandra Wee and graduate Imogen Loxton (Utilities); Partners Stephen Woodbury, Lea Constantine and Richard Bunting, senior associates Heidi Fairhall, Dominic Fleeton and Liz Grey and lawyer Hannah Martin (Employment); Partner Tim Brookes, senior associate Rebecca Cope and lawyers Daniela Lai, Katherine Velos and Shawn Burns (Telecommunications); Partner Damien Salsbury, senior associate Carol Kahler and lawyer Harry Stone (Property); Partner Tony Denholder and counsel Nerida Cooley (Native Title); Partner Rehana Box, senior associate Philip Hopley and lawyer Marie Vlassis (Insurance); Partners Jeff Lynn and Rebecca Dixon, senior associate Jane Hall, lawyer Jo Slater and graduates Mia Swift and David Baldi (Environment); Senior associate Elizabeth Ireland (Intellectual Property); and Consultant David Sefton (Workers Compensation). The Herbert Smith Freehills team was led by partners David Ryan, Baden Furphy and Nick Baker, supported by senior associates Miles Wadley and Bailee Walker. The Allens team was led by partners John Greig, Kylie Brown, Andrew Mansour. Its corporate team was made up of Chris Blane (Partner, Sydney), Marc Kemp (Partner, Sydney), Ian McGill (Partner, Sydney), Andrew Pascoe (Partner, Perth), Chris Travers (Senior Associate, Sydney), William Coote (Associate, Sydney), James Martin (Associate, Sydney) and James Nguyen (Associate, Sydney). Allens’ Energy, Resources & Infrastructure was composed of Anna Collyer (Partner, Melbourne), Erin Feros (Partner, Brisbane),Victoria Holthouse (Partner Sydney),Jodi Reinmuth (Partner, Perth), Karla Drinkwater (Senior Associate, Brisbane), Damien Hughes (Senior Associate, Sydney), Ben Smallwood (Senior Associate, Brisbane) and Kelvin Yu (Associate, Sydney). Rob Watt (Partner, Sydney), Scott McCoy (Partner, Sydney) and Gabrielle Morriss (Lawyer, Sydney) made up the Banking & Finance team while the Tax team was composed of Charles Armitage (Partner, Sydney) and David Lewis (Associate, Sydney). 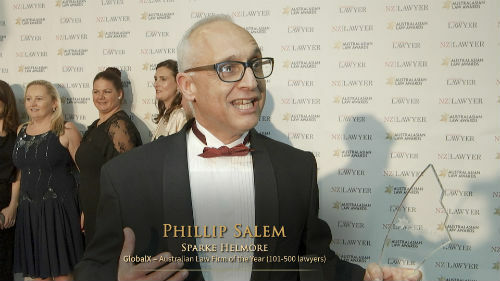 Malcolm Stephens (Partner, Sydney) handled Commercial Litigation & Dispute Resolution and the Applied Legal Technology team was composed of Sean Bagga (Senior Consultant, Sydney) and Pavel Zorin (Senior Consultant, Sydney). Meanwhile, the Clayton Utz team was led by partner Dan Fitts. The team included special counsel Trish Moloney and special counsel Maria Ratner.